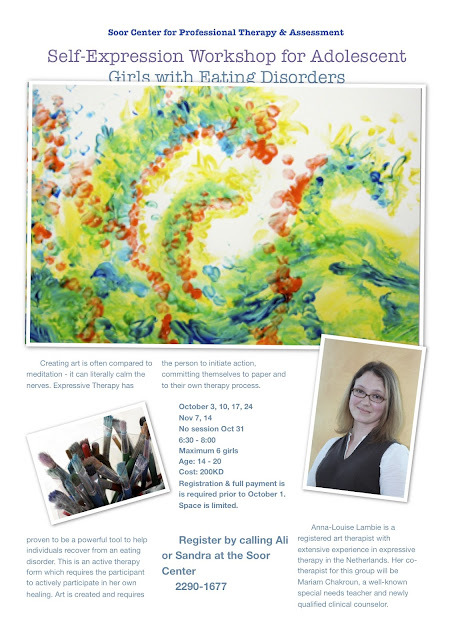 For those of you who are interested, Soor Center has created an Art Therapy workshop for adolescent girls suffering from an eating disorder. Seats are limited so call in ASAP. It's O.K. not to be O.K. Keep it in the Bank!